A sport unlike any other in the world, football has always been Australia’s bellwether. But at a time when politics is increasingly conducted like sports - full of one-eyed tribalism, captain’s calls and policy dictated by the Newspoll scoreboard - football is the one institution that’s more relevant than ever. And it’s Richmond that’s out in front of the pack. Before it could win the 2017 premiership, the club had to change how it thought about good leadership. 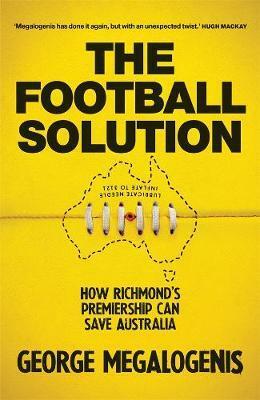 By weaving together the game’s conflicted history, a sharp-eyed analysis of Richmond’s off-field turbulence and his own love of the Tigers, Megalogenis reveals just how Richmond found a new way to win - and how Australia might do the same.